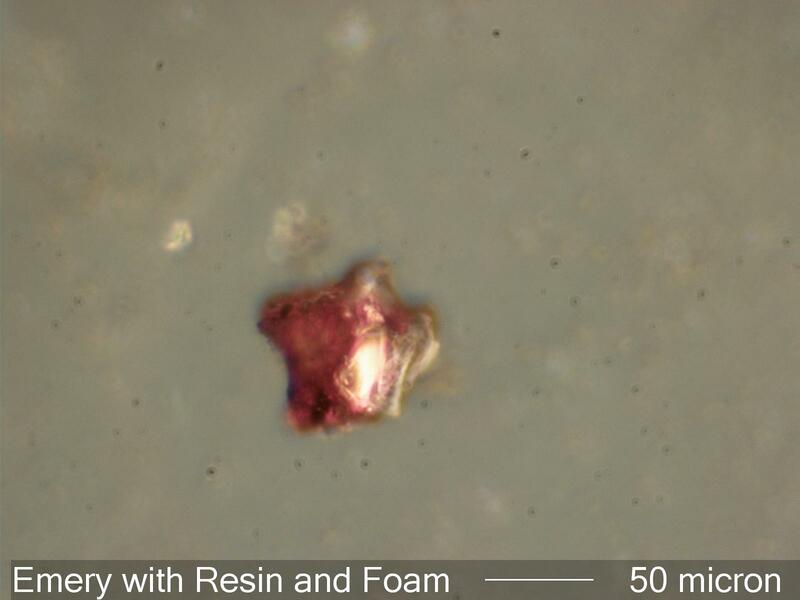 This particle was recovered from a swab taken from an SF6 Breaker. It is a fragment of emery surrounded by red resin bonded to a plastic foam pad. This is residue from abrasive cleaning.